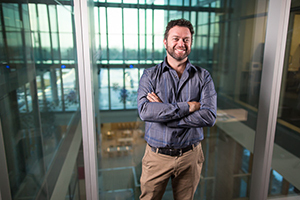 Jason Shepherd, Ph.D. , assistant professor of Neurobiology and Anatomy at University of Utah Health, is one of 17 recipients of the inaugural Ben Barres Early Career Acceleration Award from the Chan Zuckerberg Initiative. The Chan Zuckerberg Initiative was founded by Mark Zuckerberg, CEO of Facebook, and his wife Priscilla Chan to provide new solutions to human disease. A major goal of the initiative is to bring new people with innovative ideas that solve intractable problems, in this case neurodegeneration. The Shepherd lab will receive $2.5M over five years for the project titled Viral-like mechanisms of intercellular communication in the pathology of neurodegeneration. 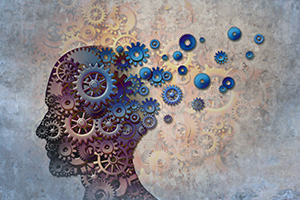 Their work will explore new molecular mechanisms that may play a role in Alzheimer’s disease. Alzheimer’s disease is marked by a slow, unforgiving marathon of memory loss. Shepherd is looking for molecular mechanisms that cause neurons to malfunction that predates cell death and the progression of disease. His lab is focusing on a particular neuronal gene, Arc, a master regulator that keeps synapses malleable and memory logged. Previous work has shown this gene is turned on when you learn. It has also been linked to Alzheimer’s disease. Shepherd believes Arc may play a critical role in our neurons’ garbage disposal system. This system is important because if toxic proteins accumulate in the cell, the neuron dies. Arc may draw from its fascinating origins as an ancient retrovirus to perform this function. It uses its retroviral ability to create capsids, or cocoons, to trap toxic proteins to be removed from the cell. Shepherd’s lab will explore the gene’s roles in the removal or build-up of toxic proteins in neurons and the progression of Alzheimer’s disease. The holy grail is to find a marker, like Arc bound with toxic proteins, in the blood that could be used as a diagnostic of the disease,” Shepherd said. In addition, Shepherd wants to leverage the volumes of research on HIV, another retrovirus, to identify new ways to target the protein cocoon created by Arc to find new therapies for Alzheimer’s disease. Shepherd says the intellectual freedom he has experienced at University of Utah Health, to follow the intriguing leads in science, no matter how risky, has contributed to the success of his early studies. The Ben Barres Early Career Acceleration Award awards are administered through the Neurodegeneration Challenge Network , which brings together experimental scientists from diverse research fields — neuroscience, cell biology, biochemistry, immunology, and genomics — along with computational biologists and physicians, to understand the underlying causes of neurodegenerative disorders.